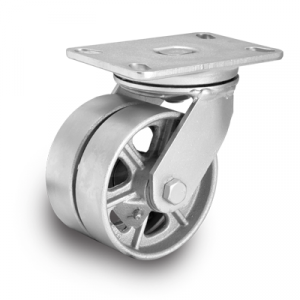 Albion 272 casters are dual wheel versions of our 72 series. This dual wheel version was designed for greater capacity and better distribution of floor load with the lowest possible overall height. 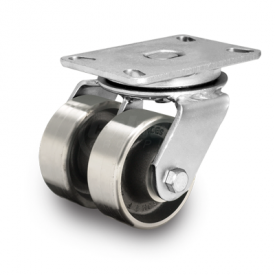 Each caster has differential action when changing direction, greatly reducing the scrubbing effect which results from usage of wide-faced, small diameter wheels. 272 rigs are manufactured of hot-forged steel, designed for extended life in rugged applications.